Manufactured to the mantra ‘More Sky, Less Roof™’, our aluminium roof lanterns and flat lights by Atlas are the ideal solution for customers looking to bring a contemporary and cutting-edge addition to their home. Offer minimal sightlines, ultimate performance and maximum light in a sleek, stylish and contemporary way. Tested for the modern day and manufactured from premium grade materials, the aluminium roof lanterns and flat lights that we offer allow homeowners to use their living area 365 days of the year. Comprising 40mm aluminium frame rafters, this unique design from Atlas enables you to offer a degree of product that stands out in the current market. Whether your project revolves around a modern, traditional, heritage, new build or period home, these lanterns and flat lights can be tailored and amended to be the perfect fit. You’ll be able to accommodate customer tastes, as well as the size and style of the property in question. This product won’t let you down, so you don’t have to disappoint the customer. A visible sightline width that is 30% less visible than other systems. A main internal feature ridge that is 70% less visible than other systems. Discreet tie bars for extra structural rigidity without compromising appearance. Clean, low sightlines on the exterior. Bevelled or flat external caps to suit building design. Excluding the Victorian style, no need for a boss or a hood. These factors combine to ensure our roof lanterns offer a stunning finish to any home, outclassing competitors to deliver a unique standard of quality. The UK’s strongest roof system. Extra strong rafters mean the tie bars can be set higher, offering more headroom. Enhanced roof strength allows for design aesthetics to be untouched. Ability to withstand 33% greater (than other roofs) ‘live loads’, such as snow and wind. Larger span roofs are reinforced internally meaning no unsightly ‘bolster bars’. Long lasting design for reduced aftersales. 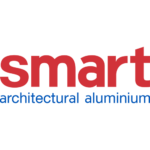 The UK’s most thermally efficient aluminium roof systems. Overall U-Value can be as low as 0.7 when triple glazed, 1.2 when double glazed. A warm edge spacer incorporated with argon gas to reduce cold spots. Condensation prevention to avoid mould build up. Twice as thermally efficient as nearest competitor. Homeowners could see a reduction in their heating bills. For your customer, comfort will be priceless. This means that the roof lanterns that we offer will be able to achieve a degree of value that long outlasts their initial installation. Minimal sightlines, featuring flush glazing for a smooth finish. Overall U-Value of 1.3, outperforming many other designs. Unique external and internal capping and bespoke uPVC core. A design that sits flush with internal plaster line, creating the illusion of an open roof. Lasting quality for reduced aftersales. 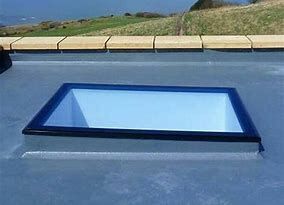 Offering your customers quality that lasts is made easy with this roof lantern design. You won’t have to worry about a disappointed customer. Over 200 long lasting colours. 3 decorative caps for the roof lantern exterior. 4 distinct lantern styles: Circular, Contemporary, Pyramid, Regular. A choice of high performance glazing. A versatile design that can suit any home. We don’t settle for less when it comes to our products, so you won’t have to either. There is no need to turn business away with our customisable roof lantern and roof light range. Made with the installer in mind, these roof lanterns and flat lights offer hassle-free installation. 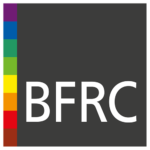 Over 200 RAL colours to choose from. As our aluminium roof lanterns and roof lights comprise a quick and simple installation process, they will prove themselves to be a fantastic and practical addition to any product range. 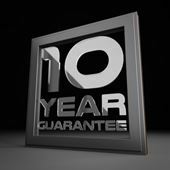 Not only will you be able to offer your customers a premium standard of quality, you’ll do it in a way that suits you. This short installation time could help you to secure shorter lead times, increase lead times and cater to a wider customer demographic. As they offer such impressive quality, they could also enable you to reduce any potential aftersales as they continue to deliver outstanding quality time and time again. These designs avoid any clunky bars or thick profiles, which means they can offer a sleek appearance with maximum light allowance throughout the year. Bringing a harmony between function and form, our roof lanterns and flat lights excel in all areas of performance and design for complete customer peace of mind. A hidden tie bar allows our roof lanterns to capture a beautifully consistent and slim line look, avoiding unsightly supports without compromising structural integrity. 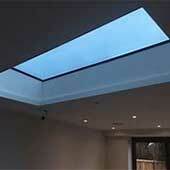 Free quotes for our roof lanterns and flat lights, get in touch with us today! 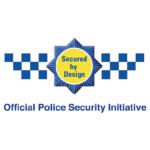 We always base it on your specifications to enusure things are as cost-effective as possible. Interested in bringing our roof lanterns and roof lanterns to your product range? Get in touch with us today via our online quoting engine for a bespoke price, or contact us via our online contact form to speak to a member of our friendly and professional team.